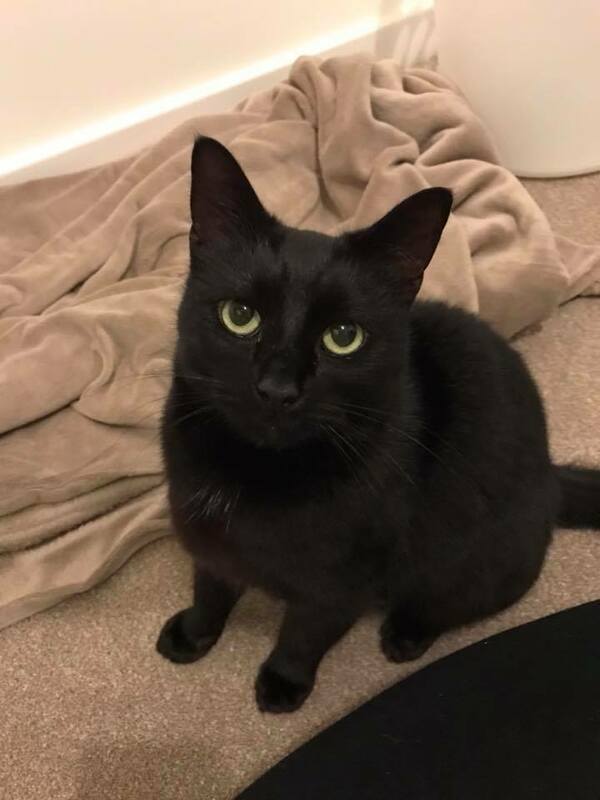 Harry is 6 yrs ,his owner who loved him very much passed away ,his Daughter was going to have him P.T.S if we didn’t take him .He’s only 6 yrs old no health problems friendly likes a cuddle & to play ,wondering whats going on at the moment poor love . Hi can you tell me a bit about Harry. We have just had to have our beautiful black cat pts and he has left a big space in our home. We have 2 small cat friendly dogs, but I know not all cats like dogs! We also have 2 teenagers 17 and14 who are also cat friendly! Max used to spend most of his time outside as we have a large garden that backs onto woods and fields. We do have a road to the front but are animals head towards the fields. We were checked prev by cat protection when we had Max. Max also used to enjoy curling up by the wood burner indoors or finding a sunny patch on the bed! Hi Louise ,I’m sorry has gone to a forever home ,would you consider little Blitzen the black kitten ? Hi Hayley ,Harry will have to go to a home where he can go outside .The only cat we have that can be an indoor is Tina .